Of all the annoying myths, there’s one that is the most bothersome. MSG, or monosodium glutamate, gets the most exposure as an evil additive to foods. Yet, what is the evidence? Does it really do anything? First, what exactly is MSG. This is the point that makes many scientists laugh, because MSG is the sodium salt of glutamic acid, an amino acid which is the building block of proteins. You get glutamic acid from almost every food you eat from grains to meat. Some grain proteins have over 30% by weight glutamic acid. Since glutamic acid doesn’t exist except in the presence of water, it precipitates with sodium or other cations (potassium, lithium, and others). Hence, the “monosodium” part of MSG. MSG has no taste by itself, but it is used by many cooks as a flavor enhancer, improving and enhancing the flavor of almost any food at lower concentrations. The taste that is enhanced by MSG is different than the standard sour, sweet, bitter and salt flavors–it is called “umami,” which also is enhanced by substances like soy sauce. It’s the savory flavor that one finds that is different from the older “four tastes” that chefs used to consider. The flavor enhancing quality of MSG is not well understood, but it’s possible that humans evolved the pleasurable taste of umami as a result of natural selection favoring those who enjoy eating high quality protein foods. The body produces glutamate (or glutamic acid more properly) during various cellular processes, including the citric acid cycle, or Kreb’s cycle, which is a complex metabolic system fundamental to how the cell builds proteins and provides energy. Glutamate is also a key compound in eliminating and controlling the waste nitrogen in the body (which is created by cells in the form of urea). It is also a neurotransmitter, used by nerve cells to transmit certain types of information, and is a critical substance in cognitive functions in memory and learning. In other words, glutamate is very important to your life. Without it, you will probably die. Or at least not be able to think. Glutamic acid does not suddenly change properties when in salt form. Once it’s consumed, the glutamate separates from the sodium, and binds with hydrogen to become an acid again. The sodium is either metabolized by the body or excreted through the kidneys. It’s a simple physiological process, no mystery at all. 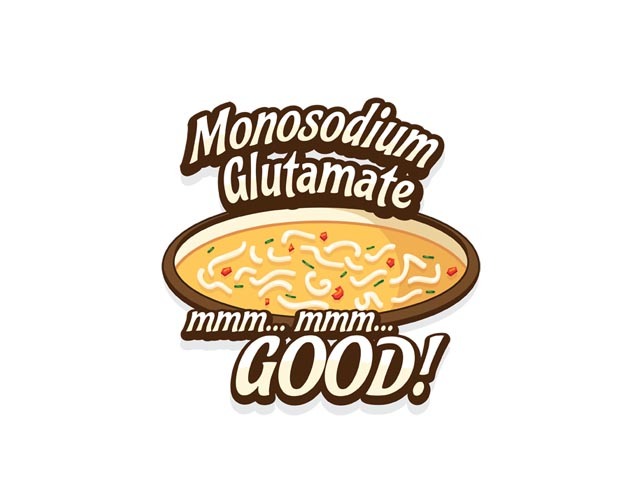 So if you eat a lot of glutamate in your food, and your body synthesizes glutamate in substantial quantities, what is bad about MSG. Well, there’s a couple of issues that might happen. MSG does have a sodium, but it’s actually less by weight than an equivalent amount of table salt. In the Food Science article, Interactions of Monosodium Glutamate and Sodium Chloride on Saltiness and Palatability of a Clear Soup, it may actually be useful in reducing sodium consumption while not compromising taste (salt is critical to taste of many savory foods). But is there any evidence that MSG is dangerous to humans? In a word, no. “Despite a widespread belief that glutamate can elicit asthma, migraine headache and Chinese Restaurant Syndrome (CRS), there are no consistent clinical data to support this claim. In addition, findings from the literature indicate that there is no consistent evidence to suggest that individuals may be uniquely sensitive to glutamate,” from Glutamate. Its applications in food and contribution to health. “This review prevents a critical review of the available literature related to the possible role of MSG in the so-called ‘Chinese restaurant syndrome’ and in eliciting asthmatic bronchospasm, urticaria, angio-oedema, and rhinitis. 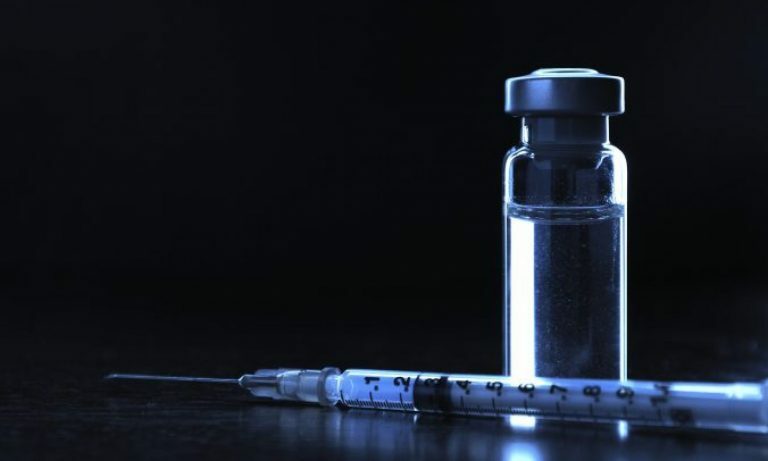 Despite concerns raised by early reports, decades of research have failed to demonstrate a clear and consistent relationship between MSG ingestion and the development of these conditions,” from Monosodium glutamate ‘allergy’: menace or myth. “Despite a widespread belief that MSG can elicit a headache, among other symptoms, there are no consistent clinical data to support this claim. Findings from the literature indicate that there is no consistent evidence to suggest that individuals may be uniquely sensitive to MSG. Nurse practitioners should therefore concentrate their efforts on advising patients of the nutritional pitfalls of some Chinese restaurant meals and to seek more consistently documented etiologies for symptoms such as headache, xerostomia, or flushing,” from Reconsidering the effects of monosodium glutamate: A literature review. “The results suggest that large doses of MSG given without food may elicit more symptoms than a placebo in individuals who believe that they react adversely to MSG. However, the frequency of the responses was low and the responses reported were inconsistent and were not reproducible. The responses were not observed when MSG was given with food,” from Review of alleged reaction to monosodium glutamate and outcome of a multicenter double-blind placebo-controlled study. In other words, there are numerous review articles (which of course are a roll-up of a number of other articles) and clinical trials that don’t support the myth that MSG has an effect on anyone. There might be a small subpopulation of people who are sensitive to MSG, but even that has minimal support in scientific evidence. As with many myths, this belief started with one small story that got blown out of proportion. It was based on a Science article entitled, Monosodium L-glutamate: its pharmacology and role in pharmacology and role in the Chinese restaurant syndrome, which claimed there was a dose-response relationship between Chinese food and the Chinese Restaurant Syndrome (CRS). But the study did not isolate MSG as the cause, and was not blinded (which would be nearly impossible with Chinese food). And it’s never been repeated. It is possible that Chinese food itself causes CRS. It is saltier. It is filling. It can be high in carbohydrates and oils. In other words, other substances within the food may have the same exact effect as what is claimed by MSG alone. Funny thing is that soy sauce is higher in free glutamate (as discussed above, the form of MSG in solution) than what is used by most cooks. So are tomatoes. So are dozens of other foods. Almost everyone you hear who claim an MSG sensitivity do not base that on anything but their personal experience. They remember the one time that they might have had MSG, but forget all the times they felt fine after having sushi with soy sauce. Or a BBQ sauce that contains soy sauce and tomato sauce. MSG is perfectly safe. Go have a spoonful.